Whoa DANG! This is... fabulous!! I love it! I love it in color too. It's perfection! The warmth of color contrast her expression and the breadth of composition is perfect. Gorgeous. Congratulations, so glad this made the front page! 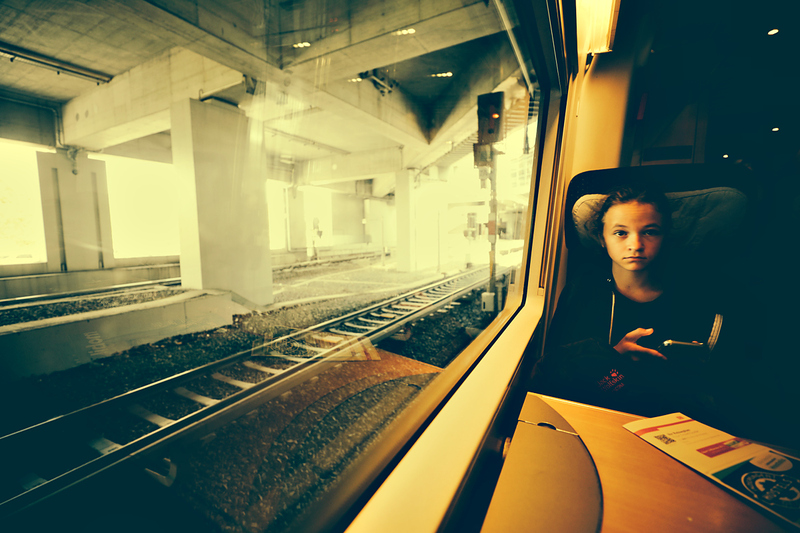 When I first saw this I was amazed, amazed because I�ve taken a very similar image of my son on a train in Milan...and with that same look!! Brought back good memories! Superb Mita, couldn't vote cause traveling on the phone but from what I can see, it's fab. Should have got the Blue! This is nice, coming from the Blue winner! One of my favorites - I love the expression, the direction of the gaze, the reflections. I find it too orange and yellow. I think black and white might suit this one better. The romance of traveling by train. Nicely caught! My favourite of the challenge. Proudly hosted by Sargasso Networks. Current Server Time: 04/19/2019 12:17:35 PM EDT.